Louise Ricks is an award-winning playwright, actress, and author whose work has been the delight of audiences around the country. Her more notable works include Snow White and the Super Dwarves, CATTYWAMPUSED: Tall and True Tales of American Folklore, and Cinderella: The Fairy Godmother’s Tale, which made its New York debut at the New York Children’s Theatre Festival. In her personal mission to create quality family entertainment, Louise founded the Whistle Stop Theatre Company in Ashland, Virginia, where she writes and produces every show. Louise: Necessary. I’m a big proponent of less is more. 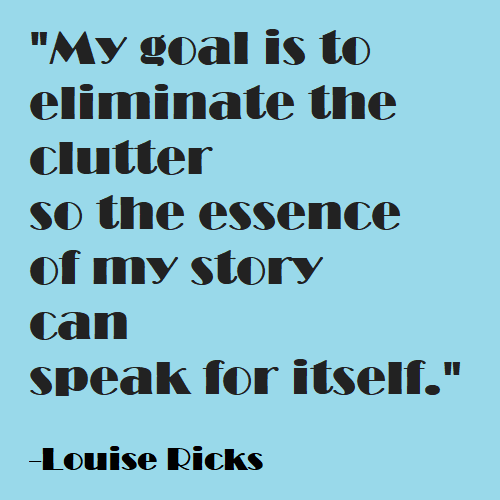 My goal is to eliminate the clutter so the essence of my story can speak for itself. Kris: Tell me about your editing process. Do you edit as you write your plays, only after you finish, or a little bit of both? Louise: I wish I could say I can write my story completely and then go back and edit, as this is always my goal. Editing while I write tends to slow me down and stop the flow of creativity. None the less, whenever I take a break, I come back to my work, read what I’ve done so far, and edit along the way. It helps me get back into the flow of the story and makes me question what I had already established with fresh eyes. Kris: What is your favorite part of the revision process? Louise: At some point in every editing process, the story takes on a life of its own and starts to speak to me. It tells me what it wants to say, shows me new opportunities for themes and character voices, and presents new scenes while eliminating others. Kris: I love that moment. Now, I almost hate to ask the next question. 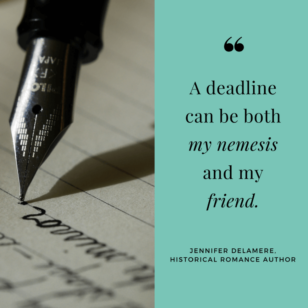 What is your least favorite part of the editing process? Louise: Spelling and grammar. I am terrible at spelling and grammar, which, as you can imagine, has been a struggle throughout my career as a writer. I dread the moment when my editor, inevitably, points out an embarrassing and obvious mistake. For a long time, my shame kept me from writing, but between spellcheck and Grammarly, I’ve been able to at least function as a writer. And when it gets to the point I have to send my work to an editor, I trust the fact that they’re trying to help, not embarrass me. Kris: So true. Good editors are here for helping, not ripping people to shreds. Enhancing the potential of words, the poignancy of a story, and the communication of ideas is a big job. Sometimes it requires a partnership. Speaking of different skill-sets, you’re multi-talented. How does your work as an actress influence the fine-tuning of your writing process? Louise: I want to bring my characters to life. In every role I’ve played as an actress, I have extensive backstories that naturally develop as I begin to understand why they say what they say and why they do what they do. As I’m writing, I use the backstories I’ve created for my characters, most of which my audience will never see, and bring those backstories to the tale I am actively trying to tell. While I’m editing, I listen to the character’s voice and check their motivations. If I can’t figure out what they want and why they’re trying to get it, then I know I have to go back and define them more clearly. Kris: That’s a great tip. Clear desires and motivations are essential to believable characters. How does knowing your audience influence your editing process? Louise: I write for children. Their developmental needs are a huge influence on what I write and how I write it. As I’m editing, I ask myself what this is going to mean for a child, how their guardians will react, and if my message is coming forward. Kris: What do you wish more writers knew about the revision process when it comes to plays? Louise: I wish writers, especially other playwrights, understood the power of saying less. So many writers want to use a long, emotional monologue to set their scene, explain their character, or wrap up a story. I want to challenge writers to see how little they can say and still get their message across. How much can be said through dialogue, through action, even with a beat (a pause in dialogue)? Kris: Good challenge. What is your biggest piece of advice to writers about fine-tuning work for the stage? 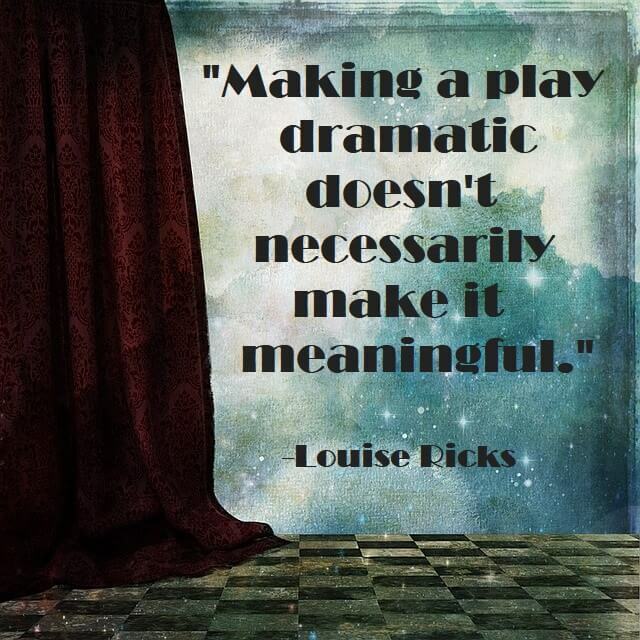 Louise: Making a play dramatic doesn’t necessarily make it meaningful. I’ve come across so many first drafts that define characters by giving them addictions or suicidal thoughts. Audiences don’t want to have a character yell at them about their problems. They want to see the journey. How did that character get to that place? What are they doing to fight (or not fight) against it? How does that affect their actions? Answer those questions for yourself first before you write an emotional monologue explaining it. Nine times out of ten, you’ll discover the humanity in your character and scrap the monologue. Kris: Okay, one last question for you, and it’s a big one. How do you know when you are done? Louise: I’m done when my characters have nothing else to say. There is an end to every conversation. Listen to the natural flow of your story, and accept when the moment, however enjoyable it might have been at the time, is over. What a wonderful answer to this final question. Sometimes, it can be so difficult to call a project finished, but perhaps to a wordsmith who spends time on the stage, everything has its moment for the curtain to come down. Maybe there’s something we can all learn from that. Thank you so much for sharing your thoughts on your craft, Louise Ricks, and happy writing, folks!